I’ve loved being outdoors for as long as I can remember but it hasn’t been a constant thing. The biggest catalyst was an overnight hike into the Snowy Mountains with my Dad back in 2012, brought on by some good old-fashioned pining for childhood and an indescribable curiosity with getting into the backcountry again. 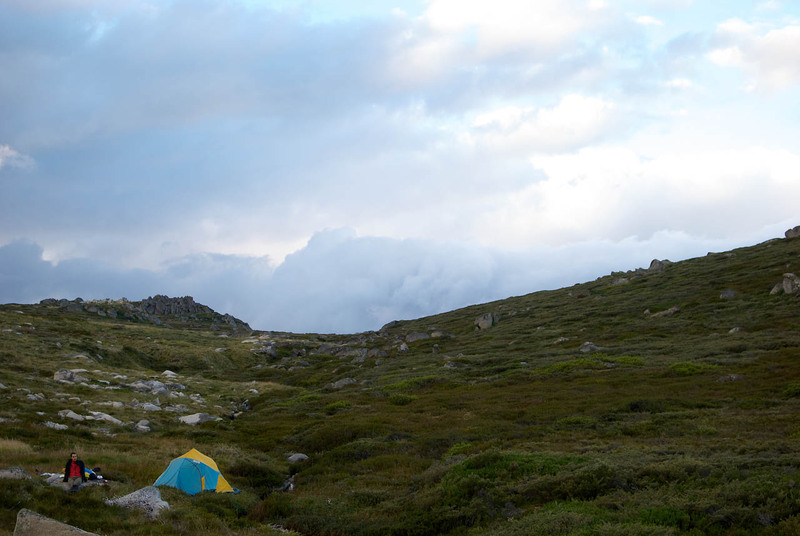 The hike in question was the Schlink Hut walk, departing from Munyang Power Station in Kosciuszko National Park. It stands out for a couple of reasons: the almost indescribable experience of being in a truly remote, wild place, and some ill-informed packing decisions, which led to less-than optimal pack weights. “It’s late morning on a mid-autumn day when my father and I finally pull up at Guthega Power Station car park. Without even setting foot on the trail up into Kosciuzsco National Park, we’re already a couple of hours behind schedule. After a lengthy stop in Jindabyne to stock up on forgotten provisions and last-minute tips, we’ve lost the benefit of a pre-dawn departure from Canberra. Then again, this is my first overnight walk in over 25 years so I’m not about to rush into anything. Why it’s been so long since my last expedition is a mystery, given my happy mishmash of childhood memories from such trips. 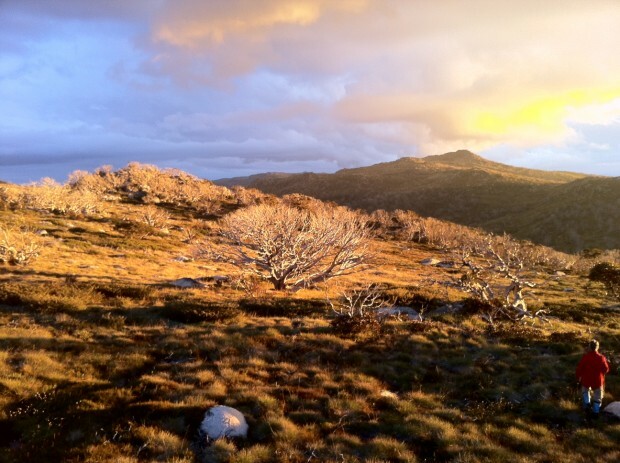 I still recall my excitement, aged seven, when the family car pulled up on the side of a road in the Ororal Valley and we set out for Rendezvous Creek in Brindabella National Park. 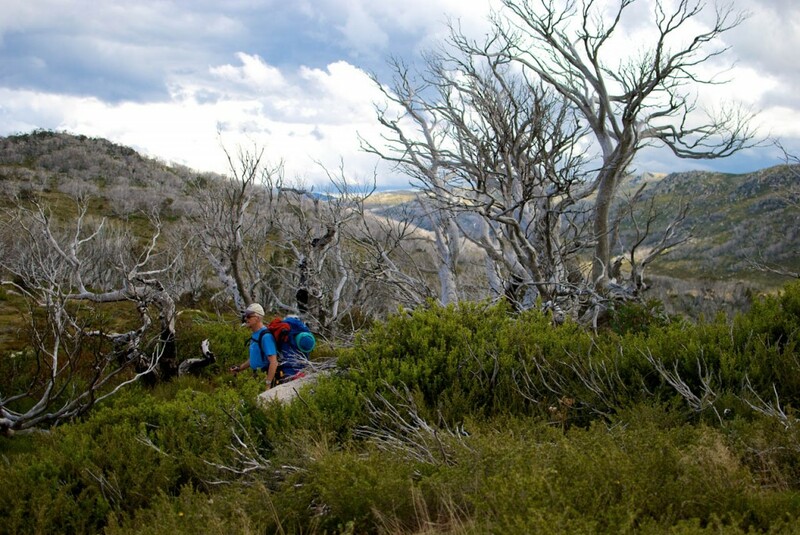 The narrative of that particular trip is just a series of vignettes in my mind: the rush of catching plump trout in pristine creeks, the crackle of the camp fire…but striding through tall grass and eucalypt forests to an unknown destination had left an obvious imprint on my psyche. Now in my 30s, with a family of my own, the time had come to seek out that feeling again. It wasn’t that I had forsaken the wild; I’d filled the years with day walks and car camping weekends across Australia and overseas, and even rediscovered rock climbing. 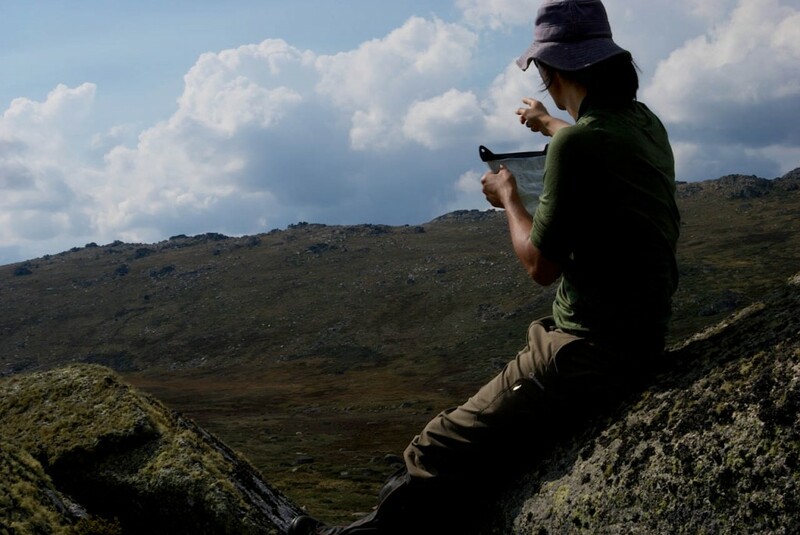 But the camaraderie of student days and a couple of disastrous camping trips, cut short by vicious thunder storms and cheap tents, had perhaps diluted my interest in backcountry adventures. I’ll republish the article in full at a later date, along some more of my Dad’s photos but hopefully this post provices some context to the overall thinking around this blog and my re-emerging desire to be outdoors as much as humanly possible.